Office Signage – Don't be "What's Missing"! Office Signage – Don’t be “What’s Missing”! Recently I went to visit a new customer. I got lost finding their building as they are in a large complex where the buildings all look the same and the addresses are not visible. After circling several times through the parking lot, I finally found the right building. There was no directory in the entrance, however, I knew they were on the third floor. I got onto the elevator and pressed 3. The doors closed and then opened. I pressed 3 again and the same thing happened. Still on the same floor! I got out and found the stairs and walked up the first flight where a sign said “4th floor”. Huh? I opened the door and sure enough the door numbers all started with 4’s. So I walked back down the stairs and discovered a hallway behind the elevator where the 3rd floor offices could be found. Very weird. Turns out that the building was on the side of a hill and the underground garage was considered the 1st floor and the first floor of offices was actually the second floor. Without any type of directional or wayfinding signage, the building became a confusing maze. Prevent your customers from getting lost in your building. 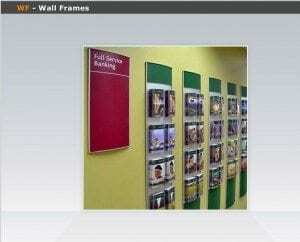 Have easy to understand suite, directory and lobby signage. “What’s missing” will be your customers when they can’t find you.